When it comes to your home and family you should always be careful. When your carpets are starting to get dirty and regular brushing and vacuuming wont clean it anymore, some of us are reluctant to call in a professional carpet cleaner. Having a stranger in your home is unsettling at best. But with the right kind of preparation and research you can be sure that the carpet cleaning Norfolk company you’ll hire is trustworthy. Most carpet cleaning Virginia Beach companies do background checks on their employees. This is to make sure their clients, who are of course the heart of each business, are safe. Pick companies who are reliable but do not subcontract work orders. It is much safer if the cleaners that would come to your house are from the company you hired and not another one subcontracted to work on your home. The problem with subcontractors is that it is much harder for you to check on their background and overall performance. Make sure to take precautions before the arrival of the cleaners in your house. Avoid being alone in the house. Have friends or neighbors to come over and accompany you. Not only can they help out in moving things but they can help keep you and your belongings safe. Never leave your house alone while they are working on it. Keep expensive items especially small ones out of sight or in a secure place. Help keep honest workmen honest. In the event that an item from your house is stolen it is best to report it immediately to the police and to the carpet cleaning Norfolk Company you hired. Make sure that you have the details of the report ready at hand. Some companies have insurance to cover theft by employees. Make sure you know such details about the company. You can also check with the Norfolk better business bureau for references and previous claims of misdeeds. Carpet cleaning Norfolk companies offer long term carpet maintaining plans. If you plan on regular cleanings and are satisfied with their work, this is a good way to save money and time. There’s no more need to look for another company. You should also check with your neighbors for recommendations regarding carpet cleaners. Ask around your neighborhood if they know other services you want to try out. Keep yourself, your family and your home safe. 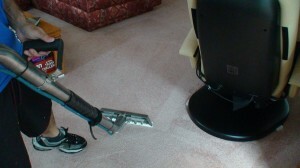 Carpet cleaning Virginia Beach Hampton Roads need not be a dangerous chore. Good preparation can go a long way in securing a happy and clean home.